If a dining establishment began serving plates of cinchona bark, mugwort, and wild gentian root, things might get weird. But with cocktails, people can be rather open minded, especially regarding things that are bitter, woody, or medicinal. This makes cocktails a great way to explore the scents and flavors of wild or natural places. For us, that place is often the mountains. As outdoor enthusiasts, the rustic, buzzing scent of woodland has always been a flavor profile we love to explore, particularly during colder months. White génépi are good mountain dwellers: gruff, hearty members of the Artemisia species described in The Drunken Botanist as “rugged plants, some only a few inches tall, that thrive in tough, rocky conditions.” Closely related to wormwood, the plants are used to make an alpine liqueur called génépi, which the same book notes “perhaps best captures the actual flavor of the herb”. 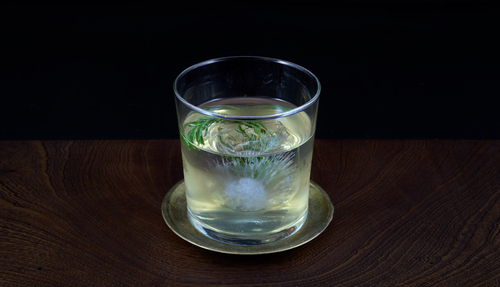 The buds from this plant expunge a resinous and piney flavour, used as a focal point in this drink. 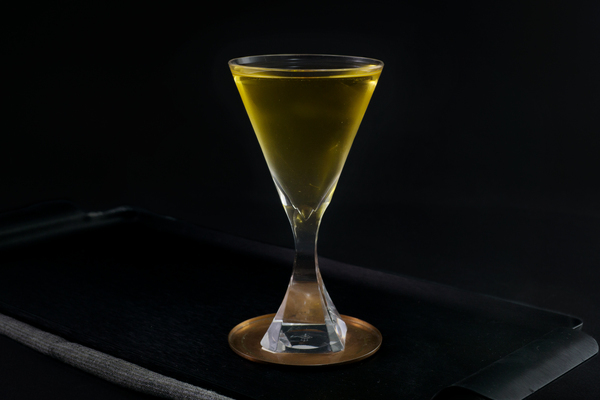 Braced by gin, the cocktail is rounded out with a dash of wormwood infused dry vermouth, and finished off by another asterid, rosemary. It's a big, brash, and woody bouquet that feels as indulgently botanical as it does glacial. The most widely available génépi is distributed by Dolin and has a sweeter, smoother flavor. Alternatively, Bittermens has begun distributing the French-made Guillaumette Génépi, which has a more resinous character and spirited bite. 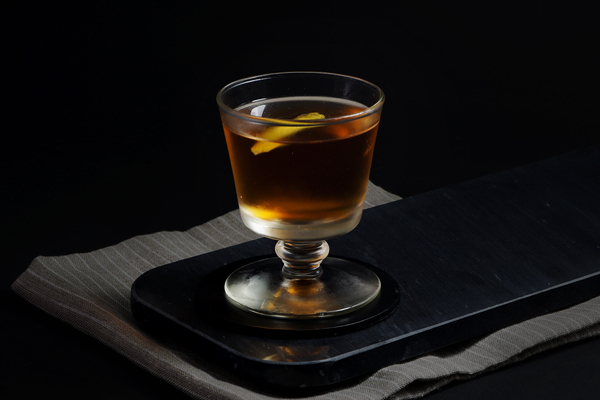 If you are using a sweeter génépi or want a drier drink, swap the simple syrup for an extra quarter ounce of dry vermouth. 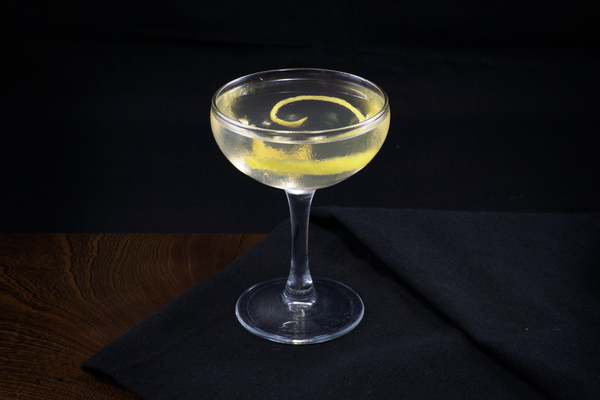 We recommend an American gin for this drink, such as St. George’s Terroir or Death’s Door. The sprig of rosemary may be plunged underneath the cube before presentation. This helps keep the more pungent herb balanced with the sweeter and subtler nose of the génépi.